You’ll spend quite a good deal of your life in your bathroom — maybe more than you might think at a glance. After all, just think about it: What’s your first stop every morning? And your last stop every night? And where do you go when you need to shower, freshen up, or simply answer Nature’s call? The bathroom, the bathroom, the bathroom, the bathroom, and the bathroom. Because of its commonality in your life, it would very greatly benefit you to be sure your throne room were fit for a king. But just what steps can you take as you add that regal touch to the John? Well — there are a lot of steps, actually. But we’ll take them one at a time here, starting with one of the most all-encompassing steps you can take: your bathroom’s flooring. Indeed, when it comes to picking the right material for your bathroom’s floor, the choice is important for not only aesthetics but also SAFETY. After all, you’ll want to be sure that your bathroom is as slip resistant as can be since you’ll produce so much water therein. There are quite a few materials you can pick from when it comes to installing flooring in your bathroom: marble, quartz, limestone, etc. 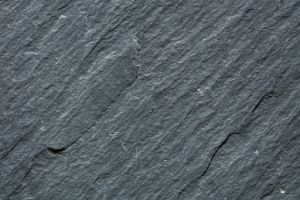 But one option that stands out among the lot is slate, and for the exact reason mentioned above: slip resistance. With its natural cleft finish, slate can allow you to traverse your bathroom (as you’ll do many times throughout each and every day) safely. Even as you drip while going from the shower to the towel rack, you won’t have to worry for your safety if you use slate for your bathroom flooring — a benefit for ANYONE, especially the elderly! Slate Is Also Stunning — Not To Mention Valuable! Of course, since you’ll spend so much of your time in your bathroom, you’ll also want to consider AESTHETICS as you work on it. After all, nobody wants to spend all of that time looking at something that’s either unimpressive or even downright unsightly. And with a slate flooring, you can rest assured that your bathroom will be not only slip-resistant but also absolutely STUNNING. With a sand-blasted finish, you can enjoy a slip-resistant design that sports a smooth, glossy finish! Of course, with a beautiful floor comes another great benefit that any homeowner will love: increased property value! If looks and even functionality are not enough to convince you that slate is a great bathroom flooring option, then SURELY its value must be! To reap the most out of the benefits that a slate floor can offer, you need to get quality slate from a reliable vendor. And if you live in or around the Jersey City area, then that vendor should be none other than Kennedy Tile & Marble Inc. We have over three DECADES of experience both selling and CUTTING slate for all your home-improvement needs, so you can count on our tile and marble pros to provide you with only top-shelf slate!